Emergency Lighting Controller - Signtex Lighting Inc.
ELC converts a general lighting LED luminaire to low voltage emergency lighting operation, when powered from a Signtex central battery system. Constant power output is factory adjustable to optimize emergency illumination level and fixtures may be on, off, switched or dimmed in normal mode without affecting emergency operation. The ELC model range allows emergency lighting operation of LED luminaires with normal power rating of less than 5 Watts to more than 400 Watts. General lighting fixtures with ELC may be combined with MOONLITE LED™ interior and exterior emergency luminaires and exit signs on the same emergency circuits, integrating all emergency lighting throughout the building. All Signtex central battery systems include automatic self-test and self-diagnostic programs. 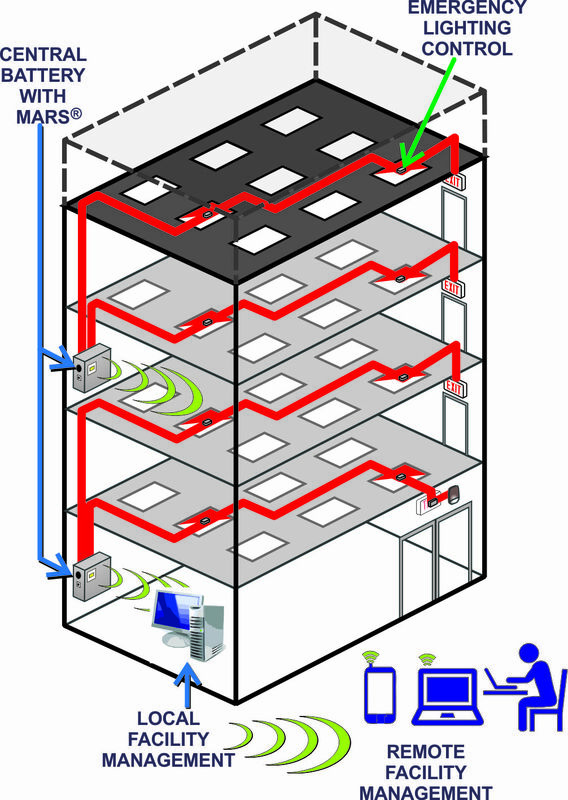 Series CBM includes the MARS™ Monitoring and Reporting System, which provides cloud-based internet communication, with fault reports delivered automatically via email for all components of the emergency system in multiple buildings. UL Listed for factory or field installation in any LED luminaire, or remote mount. 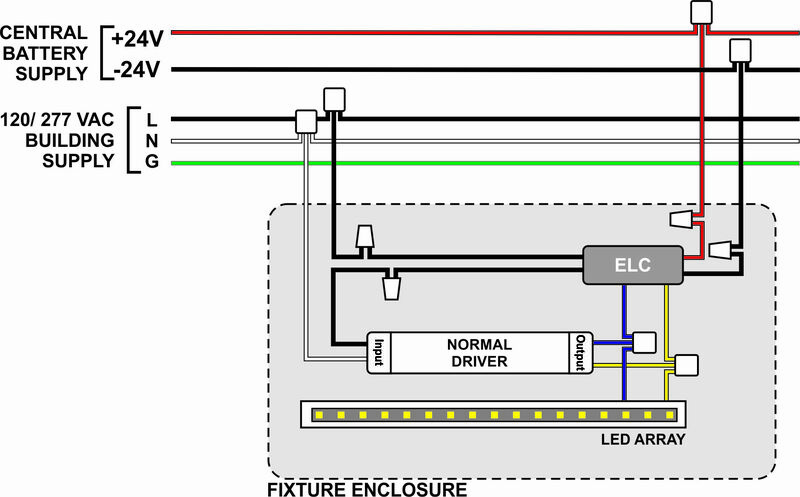 ELC connects to LINE side of building supply, the 24VDC emergency supply, and the normal driver output; see schematic diagram. Normal lighting is not affected by ELC operation. Output voltage is auto sensing, as required for the LED array. Output power is factory adjustable, as desired for optimum emergency lighting operation of the specified fixture. ELC models are offered in an emergency power range from 5W to 60W.